Thirty years ago, Rom Whittaker helped a snake-catching tribe go from killing vipers for their skins to conserving them for venom. What will he find on his return? 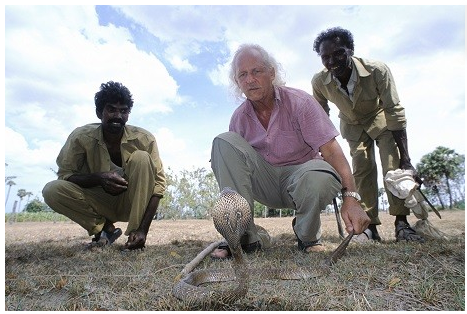 Snake hunter Rom Whitaker helped the Irula tribe found a venom extraction coop that produces most of the antivenom made in India.